I’m coming back from my longest blogging break ever. I never intended to stop posting, but if felt so good. Taking a step back gave me time to think, refresh and refocus (although I’m still in process on that ;)). Amidst this, our family has also just had a most challenging month that rocked us to the core and when extended family lives on a “homestead” together, it impacts many and definitely changes my mental capability for writing. We’ve had to dig deep and remind ourselves of what matters the most and I was able to echo my sentiment to a few young moms who were overwhelmed with the pressure and stress of feeling the need to do more. The problem was that the more they did, the more inadequate they felt and the cycle continued. I so remember those days. I admit, my schedule is much simpler now that I have drivers (your day will come, young moms), but if there’s one theme I’m passionate about sharing is the need to slow down. How long has it been since you’ve just had time to enjoy simple things? To hear yourself think above the blur? To engage in moments that allow your soul to breathe? We are so busy hustling and stuffing our lives with endless activities, rushing to add more bullet points on our checklist that we are losing a bit of ourselves and our families in the process. We miss out on the most important moments because we don’t slow down to even ponder what they really are. 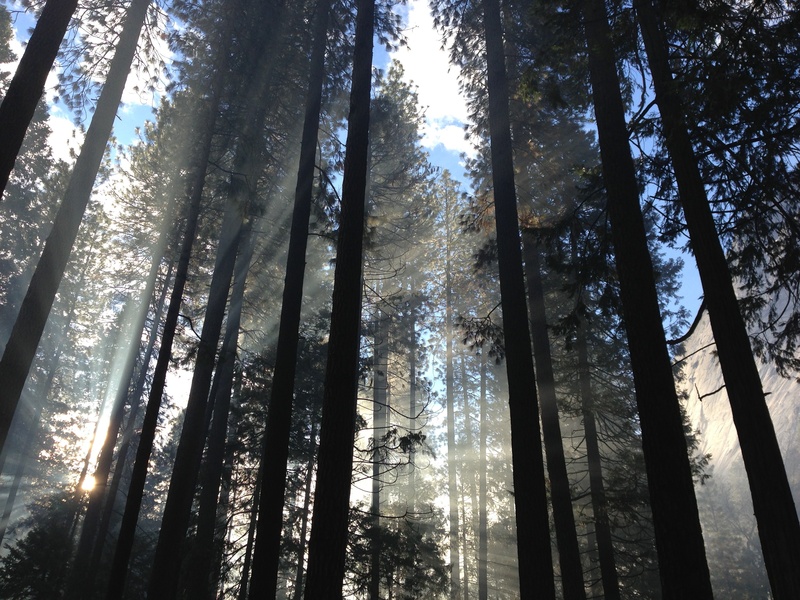 When we’re feeling maxed out, it’s hard to live intentionally, set aside time for God and focus on what matters most. Our varying life stages impacts those decisions differently for every person, but identifying those moments and asking the hard questions of importance matters. When we are in such a rush, we often miss out on those simple, life giving moments. The moments of beauty. The moments of silence. The moments of grace. The moments of purpose. This past weekend, some interesting discussion occurred around our table filled with middle and high school parents. The theme of intentional parenting wove through the conversation and a few questions arose. *Picture the future “major capstone” moment in your child’s life. How does your relationship with them look in these moments. *Where in the last month have you spent the majority of your time as a parent? Where has your focus been? Are we living our moments with purpose? Whether we are parents or not, the question of how we are intentionally spending the majority of our time truly matters and I’ve been convicted lately that mine have not all been well spent. Finding that healthy balance is tricky. How are we influencing those around us with what we’ve been given? I’m not talking about our finances here, although certainly that can be an aspect, but how are we making an impact with our time, resources, and relationships? Our moments matter. Last year, I was introduced to ECCU (Evangelical Christian Credit Union) and I am passionate about their mission and their heart to make difference in lives around them. 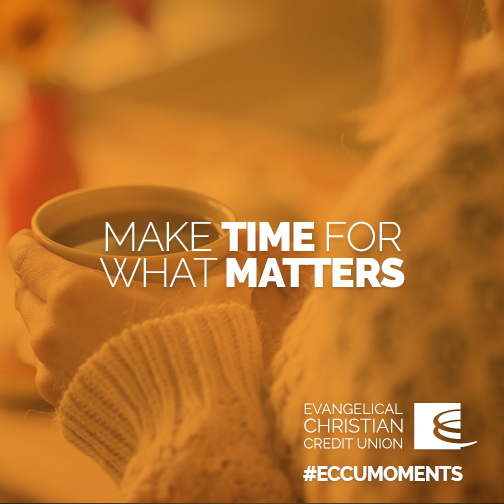 I’ve partnered with their #ECCUMoments campaign to Ditch Busyness and Pursue Purpose? I raise my hand high – that is my desire! When a companies core values encourages us to make moments that matter, that is a partnership I can believe in whole heartedly. I wasn’t aware just how unique their services are in comparison to my traditional bank, which I’ve had numerous problems with recently. As I compare ECCU to my bank, there are fewer fees, much higher savings rates and built in perks. Not only that, but our money does more than earn a good interest rate. It helps fuel ministries worldwide by providing loans to churches and low-cost banking services to missionaries and Christian organizations. Call it the intersection of faith and financial planning. They give back! I love that! To help spread their desire to spend less time banking and more time on what matters most, we can use ECCU’s new mobile banking app. I can check-off my banking to-do list in just seconds, and our eldest son is the one who has convinced me of its convenience. Now, you can deposit a check, pay a person or a bill and find an ATM in just seconds. I’m thrilled to partner with ECCU because they are making a difference. So glad to hear about your rest and refreshment. Was concerned about your silence– have prayed for you and your family — for peace, health, strength, wisdom. I can definitely tell you that I could use some space in my life. I do worry that I’m too busy!